Home remedy for hair loss can be the best choice ever among so many chemical hair loss treatment products in the market. Well, so many hair loss products are putting herbal or natural label on its bottle, but are they really natural? We are still gambling with it. The key to look healthy, including having healthy thick hair is by eating and living healthily. Natural hair loss solution is highly recommended, here are some of the home remedies we can try in our home. They are affordable, effective and do not cause any side effect. The main problem with most home remedy hair loss treatments is not only the fact they simply don’t work, but the fact they can also damage your hair further. Though well-intentioned, if you’re looking for a natural solution, you just need to know the right ingredients to look for to regrow your hair that really do work. Read onto know some home remedies for hair loss of baldness. Certain drugs, medication, or treatments like chemotherapy can cause hair loss. These are usually temporary and your hair grows back once you stop taking the drugs or getting the treatment. Genetics is one of the biggest causes of hair loss. Androgen alopecia, or male pattern baldness, affects 70 percent of all men sometime in their life. Women also are known to suffer from pattern baldness, but in a much smaller percentage. Drinking too much coffee, tea or alcohol, or eating too many processed, fried, spicy, greasy or sour foods can reduce the amount of nutrients that a hair follicle is getting. Many women also suffer from hair loss after giving birth. This is caused by the caused by the hormonal changes occurring within the body of the new mother and is only temporary. Hormonal imbalance is said to be the biggest factor in genetic hair loss. In men: the male hormone androgen binds with an enzyme in the hair follicle, creating DHT, which keeps the follicle from restarting the growth phase. Application of juice of green coriander leaves on the head is also beneficial. Good Home Remedy for Hair Loss. Amla oil prepared by boiling dry pieces of amla in coconut oil is considered a valuable hair tonic. This is a very simplest and best natural remedy for hair loss. Grind lime seeds and black pepper in equal quantities in a small amount of water and apply this on the scalp daily. This is one of the good home remedies for hair loss. Red henna is beneficial in treating hair loss problem. Smear henna over the scalp and keep it for an hour. Wash the hair. Repeat this process in a span of 10 to 15 days. Rub olive oil in the scalp. This would help reduce hair loss. Apply castor oil on the scalp and the roots but not on the hair. Wrap the hair with newspaper and tie it with cloth. Keep it overnight and wash it in the morning. Repeat this for 7 to 10 days. Apply a well prepared paste made from hot olive oil, honey, and 1 teaspoon of cinnamon powder before bath and leave it for 15 minutes. This is also effective home remedy for hair loss. In a cup of boiling water, add a tsp of mustard seeds. Cook it for about 5 minutes and allow it to cool. Once cooled, drink this concoction. So however tempting those home remedies hair loss treatments may seem, our advice is to avoid them in favor of the combination of ingredients that are proven to work. 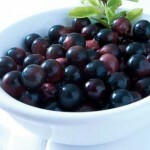 Weight Loss with Acai Berry: Is It A Fact or Just A Fiction?